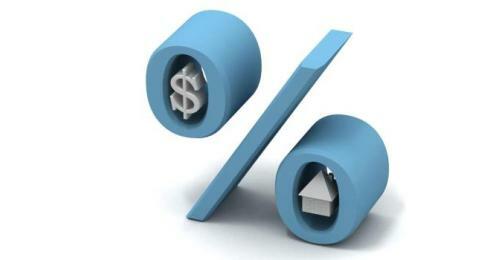 I noticed that interest rate has gone up by another 25 to 30 basis points recently. So since the beginning of 2010, interest rate has jumped by a whole percentage point. It went up three times last year and once this year. And yes, there will be more hikes in the future. As a result of the increase, the monthly payment for borrowers who signed up for variable rate interest rate mortgage has also gone up. The quantum of the increase will depend on the amount borrowed and of course, the actual percentage increase. The higher the loan amount and obviously, the higher the interest rate, the higher will be the quantum of increase to the borrower. So it is no surprise that I’ve been getting questions, both through the e-mail and from people that I meet, that goes like this: “Should I convert to a fixed interest rate mortgage?” I sense much uneasiness in their voices. While theyare probably coping with the slightly higher payment now, they know they will face some problems should interest rate continue to rise. So they want to have an idea of what they can do to protect themselves. Before I answer the question, let’s go back to the beginning. The main reason most people chose variable rate interest rate mortgages is because of the lower interest charged compared to fixed rate interest rate mortgages, which equals a lower monthly payment. The lower monthly payment will enable them to take a higher mortgage or buy a bigger house or have more money at their disposal. So although some people do realize that they are taking a higher risk by opting for the variable rate interest rate mortgage as the payment can rise if the interest rate shoots up (which is exactly what’s happening now), the lower monthly payment is too much of an attraction to turn down. Actually, if the situation had remained the same – interest rate remained at the current low levels and property prices keep doubling every three years – then their decision would have been spot on. However, and I’m so sorry about this, that is not going to be the situation for much longer. Yes, dear readers, the interest rate will continue to rise in the coming days. One reason for this is because Bank Negara need to raise the interest rate to combat the rising inflation. (There are more reasons of course but that would suffice for the purpose of this article.) While the rise may be just 25 basis points for now, it may actually jump higher in the future. And obviously when interest rate jumps, the monthly payment of the variable rate interest rate mortgages will also jump with it. Needless to say, that will lead to much pain to the borrowers. So the answer to the question is this: If you cannot handle the extra payment once interest rate rises, then you must convert your mortgage to a fixed rate interest rate mortgage. If the tenure of your mortgage is longer than ten years, then you may want to do the same. Why? Because you will (1) be protected from interest rate rises throughout the period; (2) avoid much pain when the interest rate rises; (3) be able to make your payment on a regular basis; (4) be able to keep the house; (5) sleep better at night knowing your downside is covered. Yes, by converting to a fixed rate interest rate mortgage, you will be making a slightly higher payment now compared to a variable interest rate mortgage, but you will be paying a much lower sum in the long run when interest rate rises. At the end of the day, there are is perfect answer when it comes to money. 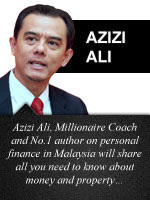 There’s always pluses and minuses to the various financial products and instruments. Like the saying goes: To gain some and to lose some. In this case, to cover your downside from future interest rate hikes, you must be willing to cough up higher payment now by converting to a fixed rate interest rate mortgage. I hv sign my sap with varieable rate, I still can change to fix rate?? Mine is pbb. AnybOdy know this?